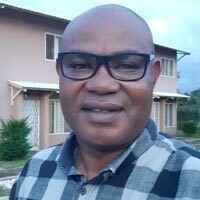 Dr. ALAMU, Emmanuel Oladeji, a Nigerian, is an Associate Scientist (Food Science and Technology) working with the International Institute of Tropical of Agriculture(IITA), Zambia. He holds a doctorate degree in Food Chemistry with over 12 years of research experience and strong analytical skills in food science and nutrition, and experienced in carrying out nutrition-sensitive agricultural research using different tools and techniques. He has many publications in local and foreign journals. Specifically, his research lines primarily examined: the physical and bioactive characteristics of biofortified and non-biofortified crops such as soybean, maize, cowpea, cassava, yam; retention studies on the bioactive compounds in unprocessed and processed biofortified crops and foods; anti-oxidant activities/capacities of unprocessed and processed biofortified crops; bioavailability and bioefficacy of processed biofortified crops and associated products; sensory characteristics of products from biofortified crops.